As a Senior Inbound Sales Representative, you will work New Breed’s customers to deploy New Breed’s inbound sales strategy and then be responsible for it’s execution. In this role, you will be working closely with sales leadership and sales operations to execute our world class sales methodology, properly forecast your new sales numbers, achieve your net/new quota each month, uncover strategies to coach and develop, and devise scalable ways to grow an inbound sales team successfully. You will work closely with our Inbound Marketing Strategists to ensure that we can deliver all the way through the sales conversion funnel. 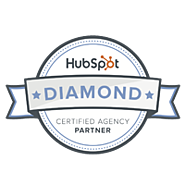 As a data and process driven organization, you will be required to use a variety of measurement tools including Salesforce.com, insightsquared, and HubSpot. Are you competitive and self-motivated? Do you have previous sales and marketing experience or a high degree of interest changing the way sales has been done? Looking to be on the ground floor and influential in pioneering how companies grow their business? Do you want to join a high producing team in a fast-paced company? Monitor performance against key performance indicators and implement improvement strategies as required. Identifying business requirements and process improvement opportunities to help streamline the selling and fulfillment cycle.